I train my son and his skill development has exploded in the last few years. But, as you know, there are tons of kids who can “kill a drill” but can’t perform when there’s 10 guys on the court. When you have defensive pressure and lots of decision-making in a game situation, those skills can all of a sudden look a lot different. 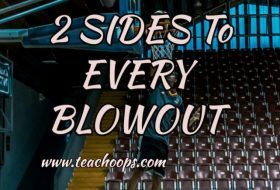 You just can’t simulate that environment in the quiet of a gym while developing skills. I know every good trainer tries to develop an athlete’s skills while doing “game-like” drills. But it is just not the same. 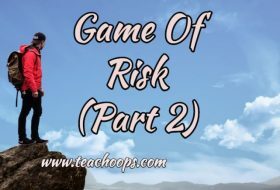 Actual “games” must be played and it’s becoming really hard to find them outside of the AAU tourney scene. It’s really difficult to supplement skills training with “games” without having a place to actually play games. 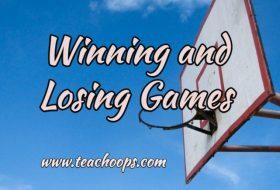 You and I know there aren’t a lot of parks or gyms that young athletes use to play meaningful “pickup” games that aren’t tied to their schools. We’ve tried playing in the local clubs and the games are mostly garbage for development purposes. Please don’t take this personally, but being a father who is a head coach gives your son access to a gym and I’m only assuming a place where players can get together to play decent pickup games (if WIAA allows, which I believe it does) during the summer. Not everyone has that. I do agree that AAU travel is ridiculous. I myself coach a boys AAU team and my HS daughter plays AAU and I see that the competition 1 hour away is not substantially different than competition 4+ hours away. I also agree it’s way more games in a weekend than necessary. But of course, the tournaments are making money and they aren’t going to set up tournaments where you only play 2-3 games — which in my opinion would be plenty to supplement skill development. AAU is ridiculous for kids under 12 years of age (and maybe that’s too young). The most physically mature kids dominate and nothing real productive gets done an AAU format for those young kids. 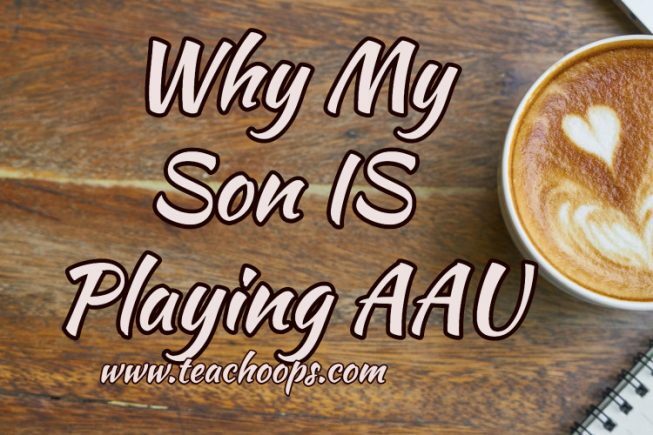 But parents are feeling good that their kid “played AAU”. I assume the birth of AAU must have been to get the very best players exposure for college. And it probably then trickled down to younger and younger age groups. 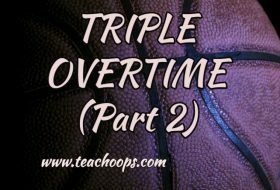 Bottom line — I think there’s value in AAU but I think it’s overhyped. At the same time, in order to become a better basketball player, it takes more than reps in the gym. Those skills have to be tested in a game format. I played DI college baseball and there was plenty of guys who hit .300+ in “batting practice” but in a game, for some it was a completely different story. It’s all a “balance” (skills practice + games) which I know is what your message is all about. Thanks for making your video and providing quality content on Teachoops.com !! !